Right, I said I would organise a little gathering so we could all have another chance to meet each other before Christmas and I have now decided on the date! We will be meeting at 8pm on the 7th of December (Location not yet decided) for some food and drinks in Cardiff. If that wasn't exciting enough, the lovely Chantele has worked with Baci Lingerie to organise a fabulous blogger exclusive, lock-in event. You will get to see the items they have to offer, partake in some cocktails and canapes and get a 20% discount on anything you buy on the night. Sounds amazing right?! I had a fab time at the last event and it would be lovely to see you all again and meet some new people. If you haven't been to a bloggers event before, why not? they are loads of fun. Where would you all like to go for food and drinks? I'm open to suggestions, I know it's just before Christmas so I was thinking of somewhere cheap with 2 for 1 vouchers like Pizza Express. If you want to know about any more events in Cardiff before Christmas you should check out Liz's blog - bambi the style hunter because she is full of useful tips and Cardiff knowledge. 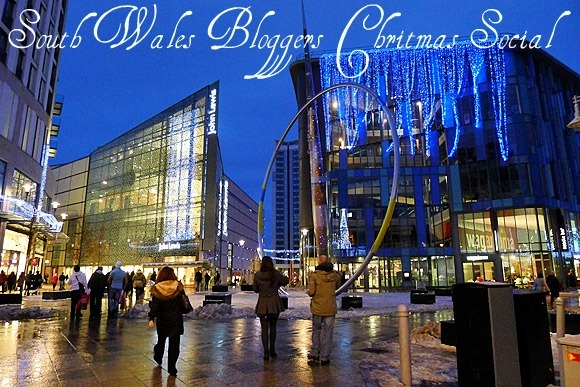 Don't forget there is also a Cdfblogs meet up on the 6th of December and there is going to be a MyStreetChic.com event in Bristol on the 16th. Are you going to be at any of these events? I'm excited for all the blogger fun in December. Are you going to the CDFBLOGS meet up the night before?? Im really nervous about going as I havent been to anything like this before. Hiya Kirsty, just foound you on twitter. Will be at both events!